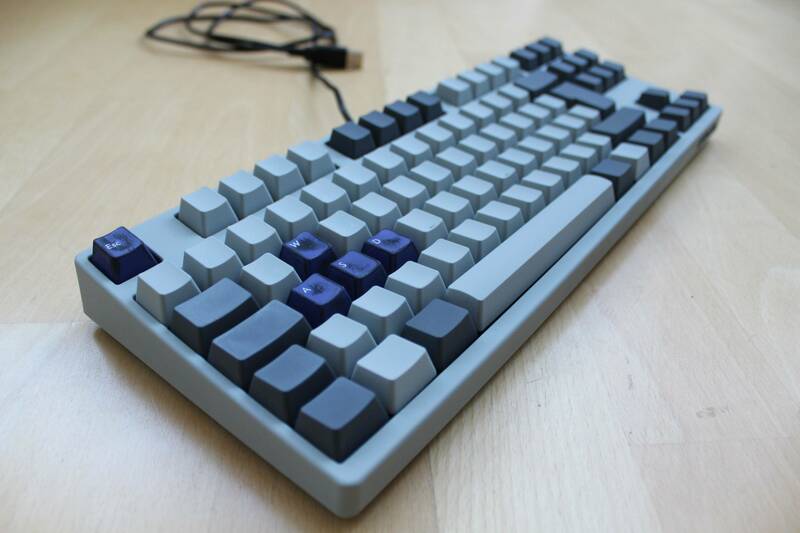 After 43 awesome entries, we’re happy to announce the winners of our Pimp Your Filco Contest. 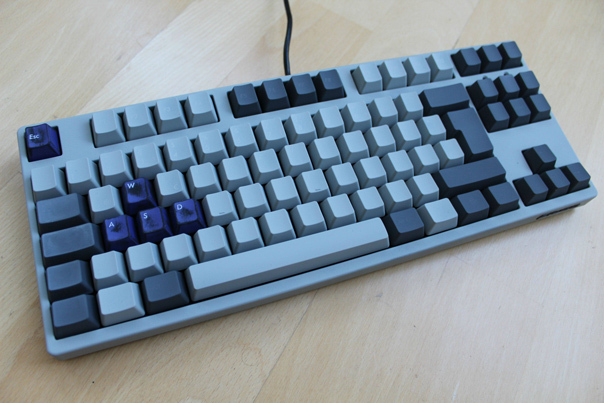 Our first place winner is Jocke, who contributed his custom Filco MiniLa. 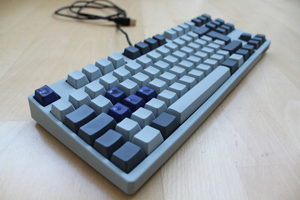 The Swedish board has MX Brown switches, with custom keycaps from WASD. 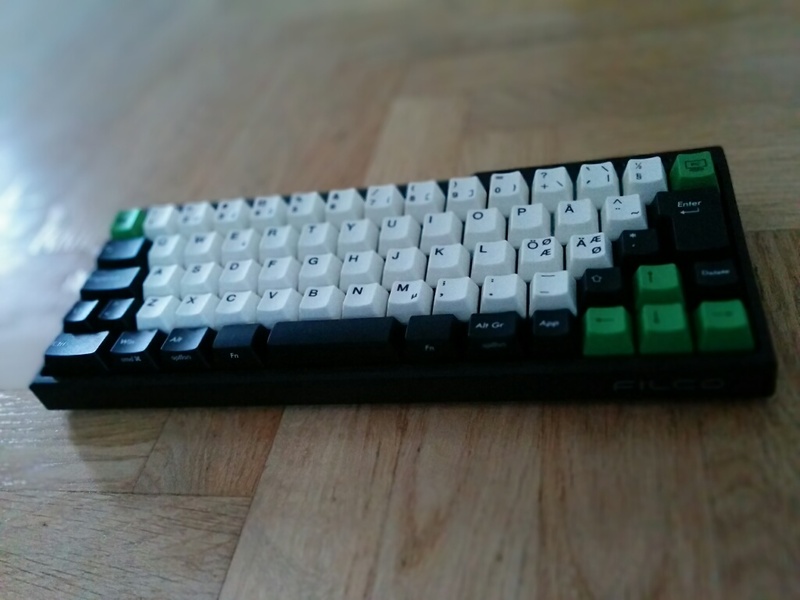 Jocke did his own design (using the WASD template), with legends in Open Sans (color #5EB1E7) on #D0CCC0 keycaps. 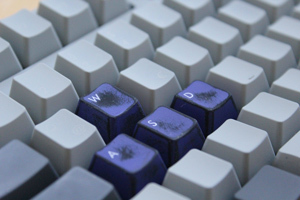 Some keys were kept black to match the spacebar. 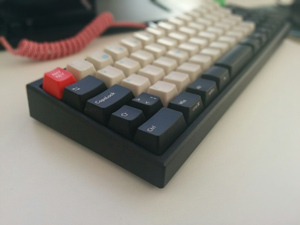 A red ANY KEY keycap and a red custom cable from Paranoid on Deskthority complete the look. 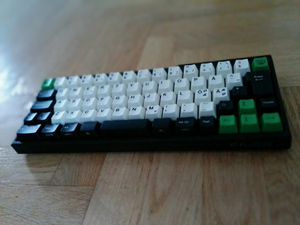 Jocke wins a Max Keyboard Blackbird with MX Brown switches for his entry. Congratulations! Our runner-up is plasticchair, who submitted his custom Filco Majestouch-2. 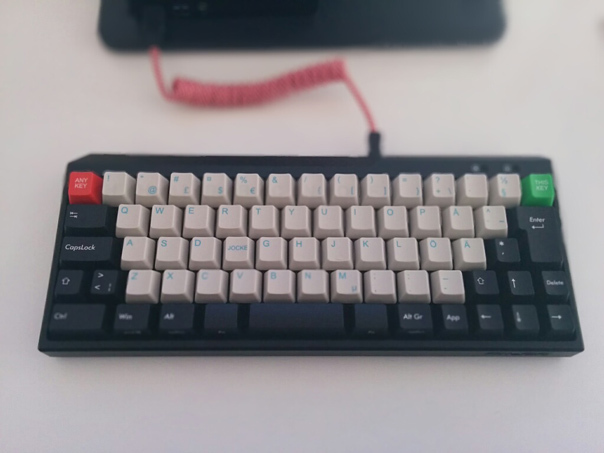 He has extensively modified his Filco over the past two years in order to make it more unique. The case and keycaps have been custom painted many times, with the look pictured being his favourite. Vintage MX Black switches have been soldered in, stickered and lubed. He has also added a shelf liner to fill the case, and even changed the LEDs. plasticchair wins an Orthomouse and has promised a review of the same. Congratulations! Thanks to everyone that entered – there were many great entries, so it was very hard to pick just two winners! We’ll be showcasing some of the best submissions in a later post, so please stay tuned. In the meantime, I’d encourage you to follow us on Twitter and Facebook so you’ll hear about upcoming contests, news and promotions. 1 Pings/Trackbacks for "Announcing the winners of our Pimp Your Filco Contest"